The Hammondsport Festival of Crafts returns for its 39th year! 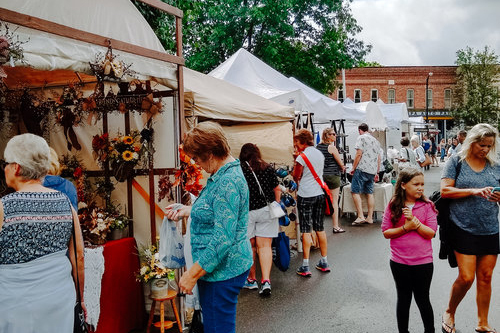 For two days, the village of Hammondsport will transform as more than 125 crafters and vendors take to the Village Square for the annual Hammondsport Festival of Crafts. Enjoy a weekend of demonstrations and shop for handcrafted items, or stop in any one of the village's charming boutiques for specials and specialty food items. Discover the secrets of floral design or woodworking, learn how to work leather or quilt like a pro, and shop for it all from the artists who just showed you their craft! Parking is made easy through shuttle services running throughout both days. Simply park at the Glenn H. Curtiss Museum or Pleasant Valley Wine Company, and shuttles will pick you up and bring you back. There are no headaches with finding parking near the village with this easy and frequent free shuttle service.